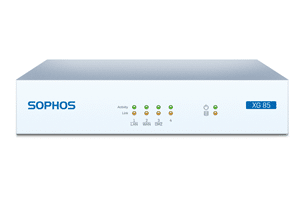 Sophos XG 85 and XG 85W - Symtrex Inc. The Sophos XG 85 and XG 85W are entry-level desktop firewalls are the ideal choice for budget-conscious small businesses, retail and small or home offices. They are available with and without integrated wireless LAN, so you can have an all-in-one network security and hotspot solution without the need for additional hardware. The Intel dual-core technology makes them highly efficient and as they’re fanless, they won’t add unwanted noise to your office space. The base unit includes wireless Security subscription.